Danger, Will Robinson, danger! The first lost episode of Irwin Allen's beloved sci-fi series is collected into a deluxe hardcover edition. 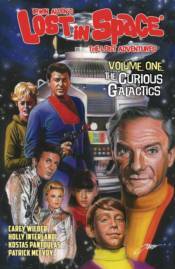 Features the complete threeissue story 'The Curious Galactics,' Carey Wilber's original script pages, and more!